While the essential ingredient of taking excellent photographs is yourself, having a good team of lenses will make things a lot easier. Putting together a good team that accompanies you photo by photo as you travel your way into the world of digital photography isn’t as simple as it seems since there are hundreds of models, brands and technical aspects to consider, not to mention your budget. That is why, a few weeks ago, I presented the best lenses for Nikon cameras in photographs, but this time I’ve prepared a selection of Canon lenses that are essential for your photographic equipment. Start building your ideal team right now! 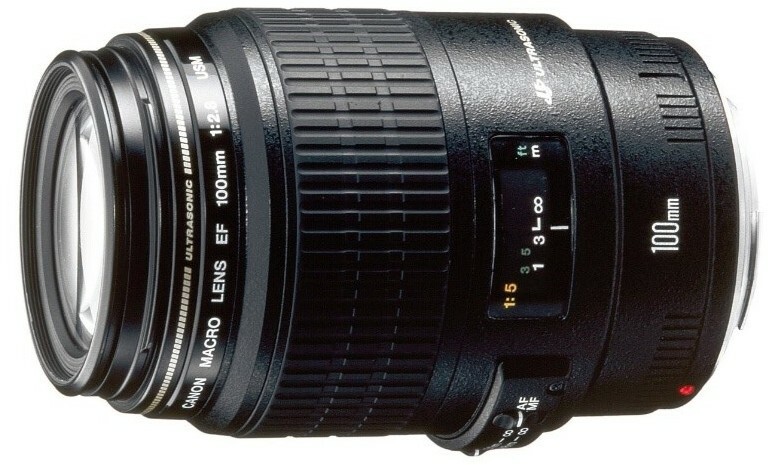 If your Canon SLR camera doesn’t have this lens, you don’t know what it’s capable of yet. This lens is really surprising and not only for the quality of the photographs, its luminosity, the speed at which it’s able to focus and the blur that it’s able to reduce, but also for its price since you can get to it for only about 125 dollars on Amazon. How can something so cheap be so good? 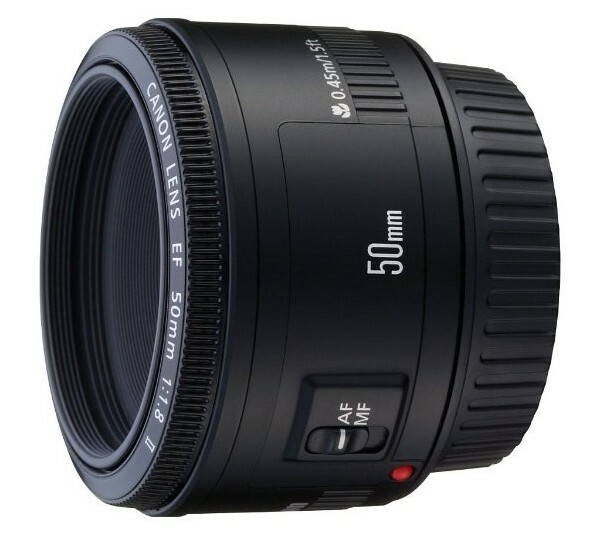 While the lens of this lens (the glass part) is something that’s worth a good buck, it was the materials that have allowed Canon to offer it at such a low price: its body is completely plastic and its manual focus ring isn’t very robust but, if you’re careful you won’t not have to worry. If you were looking for a lens for portraits or social photography at a low cost, with a high quality of image and sharpness, and that’s also really light and comfortable, your search has come to an end. 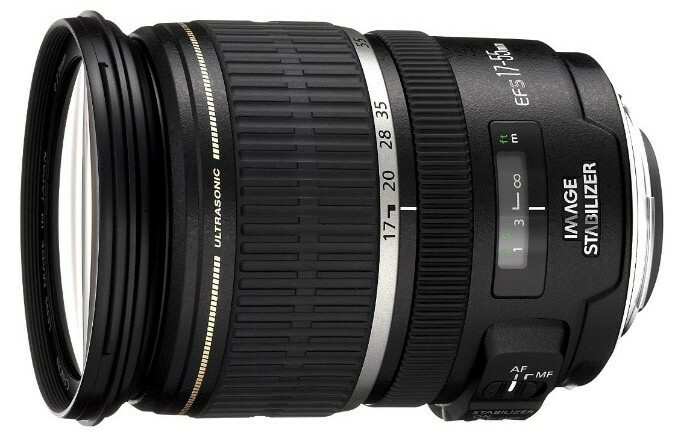 The Canon 17-55mm f / 2.8 IS lens is worth its weight in gold or even more because its variable focal length makes it ideal for you to use with whatever kind of photography you’re planning on doing. This magnificent lens offers a maximum opening of f / 2.8 at all settings, that’s to say that whatever the focal distance that you are using, the maximum opening will remain constant. 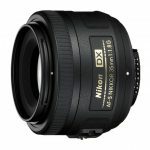 It’s designed to work perfectly on cameras with a DX sensor as well as cameras in full format (35mm or Full Frame) so this lens will surely accompany you throughout your entire photographic life. Do you want more reasons to get one? 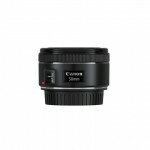 This Canon lens is stabilized and is able to identify the type of vibration in order to correct it automatically, which will help you to leave your photos completely clear and is extremely comfortable to use. Its weight is something that could eventually come to bother you because, as you can imagine it’s not at all light (650 gms) and despite that, its construction is very good but not excellent as you would expect for such a heavy lens. 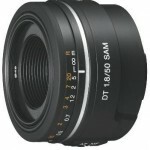 While it may seem rather expensive, about 800 dollars on Amazon, this lens is really an excellent investment. A good lens is something that should be present in every photographer’s backpack, and if we talk about quality, the Canon EF 200 mm f/2.8 II USM won’t let you down. Whether you feel like taking action shots, photograph sports, nature, or even some beautiful portraits, this lens might be the best option for you. 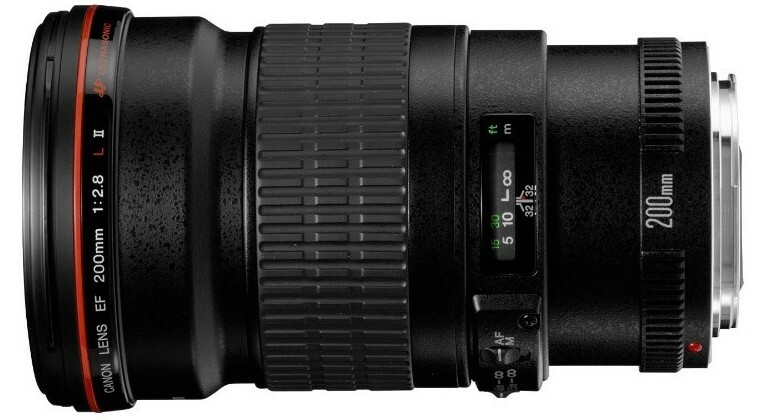 This prime lens holds professional quality at an amateur’s price. Now, while its cost of 700 – 800 dollars might seem a bit too much for you, when you compare it with other zoom lenses f/2.8 by the same brand, it is a real bargain. It is an excellent choice that will allow you to take amazing quality pictures. Its light weight (when compared to others like it) makes it very comfortable to work with. Its main advantages are: its brightness, its focusing speed, and the quality of the image that is able to obtain. However, it has two major limitations: no image stabilizer (although this is compensated with its big diaphragm aperture) and its lack of “versatility” because of its fixed focal length, although this is not entirely bad. While the brand offers some more versatile alternatives, this lens is pretty much unbeatable thanks to its price-quality ratio. Up-close photography and the Canon EF 100mm f / 2.8 USM are almost synonymous, especially if you are thinking of taking your first steps into this wonderful discipline, and want to take the leap. This “macro” lens is the first choice of many photographers who are encouraged to venture into the new world that up-close photograhy offers as it will allow you to portray the smallest objects in a 1: 1 ratio, that is, to actual size. Thanks to its high brightness, this lens will be ideal not only for “macro” photography but also for portraits with a soft blur which is thanks to its opening of f / 2.8 maximum diaphragm. But its main advantage is undoubtedly its superior optical quality and the sharpness that you will be able to achieve not only thanks to it, but also thanks to its precise and fast built-in focusing motor. Disadvantages? Sorry, I don’t think I have any worth mentioning. And if you put together a “dream team”, you definitely can’t leave out this wide-angle lens. This wide-angle lens “zoom” really is a steal, not only because it only costs around 280 dollars, but also because of all of the photographic possibilities it offers. This lens is ideal if you want to take pictures of landscapes, architecture or interiors because, thanks to its wide angle of view, you can capture a large portion of the scene in one photograph. 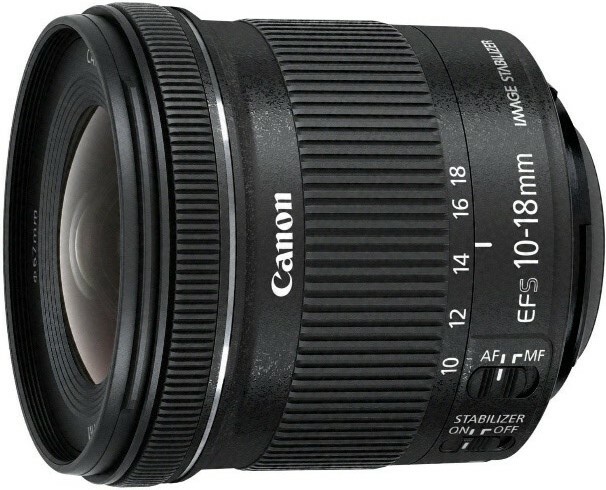 The Canon EF-S 10-18mm is one of the best wide-angle lenses you’ll find on the market, not only because of its price but also because of its weight, its built-in image stabilizer, its focusing speed, its sharpness and its comfortable size, despite only being available for APS-C format cameras. Thanks for reading this article. I hope it has served you to find that next ideal lens that you were looking for. Please, I would be grateful if you would share this article if you think it’s worth it. Thank you. 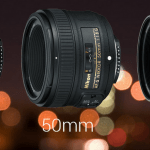 35mm vs. 50mm vs. 85mm comparison: What’s the difference and What fixed focal length lens should you choose?